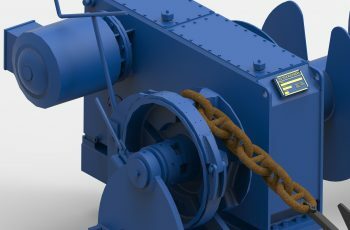 This anchor mooring winch is designed and adapted to the customer’s wishes and, of course, based on the different classification rules. 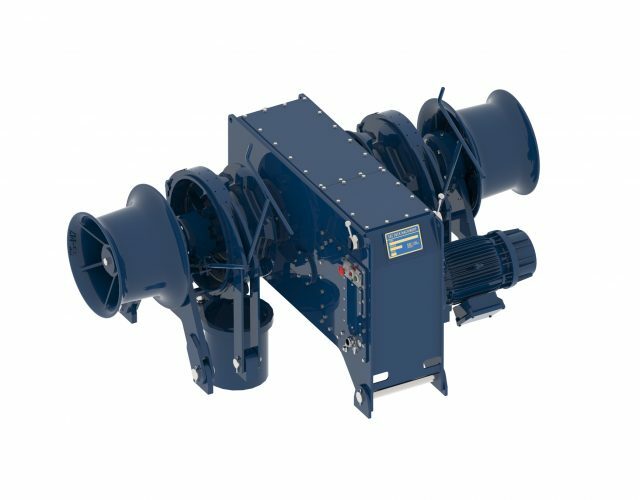 Therefore, standard drums are seldom used by THR. 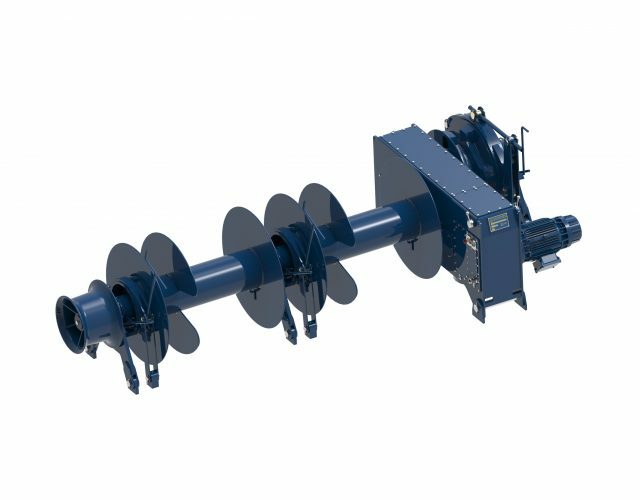 When polypropylene or equivalent rope material is applied, the drum will be split in a storage and operating part as standard. 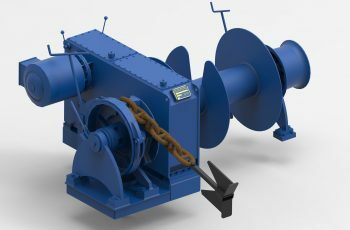 The combined anchor mooring winch has a positive effect in the weight of the complete anchoring and mooring configuration. 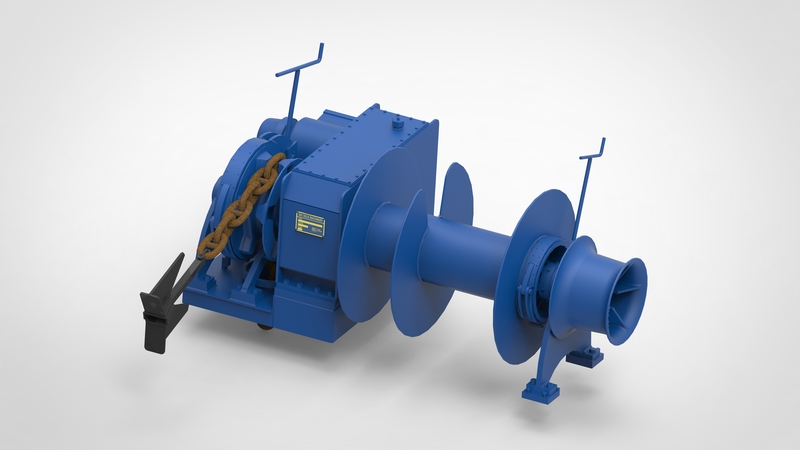 The combined winch requires one gearbox and one drive only. On small foreships it may be possible to combine both anchoring and mooring of the port side and starboard winches into a single winch unit. This may be achieved with the restriction that the hawser pipes have a certain distance from each other. 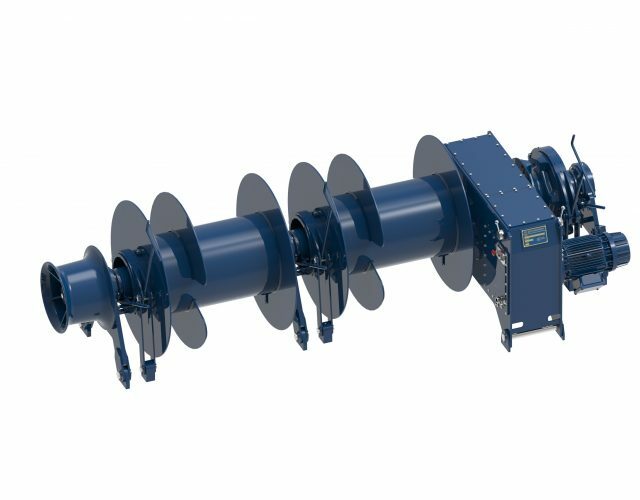 Besides that, the chains have to enter the chain locker and hawserpipe at a certain angle. 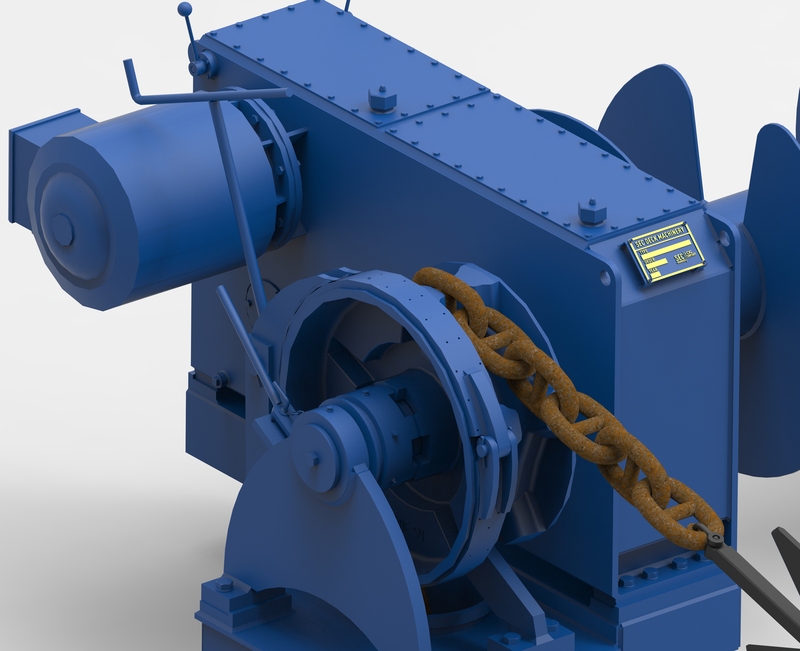 Since the closed foundation is normally included, installation of the THR anchor mooring winch is al simple task for the shipyard. 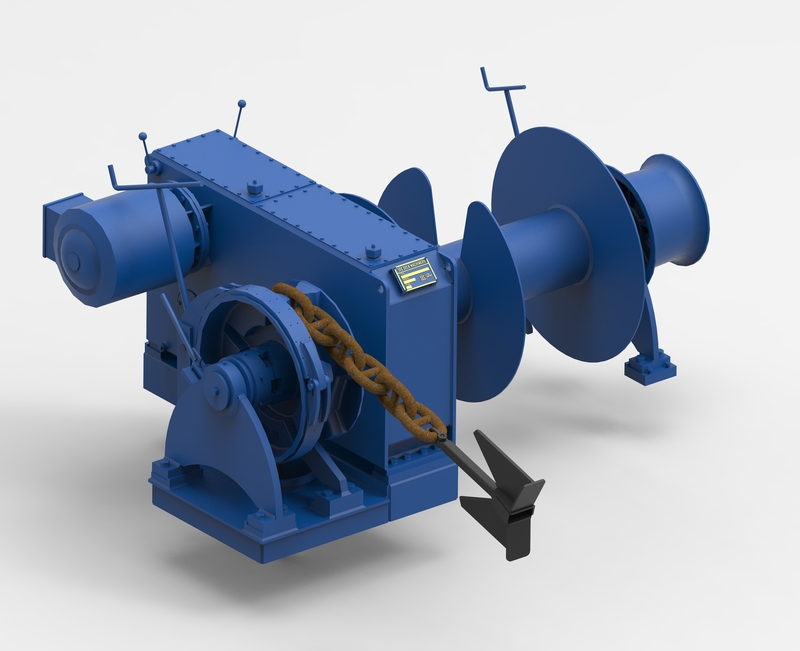 The anchor mooring winch can be equipped with a self tensioning device only for mooring operations. 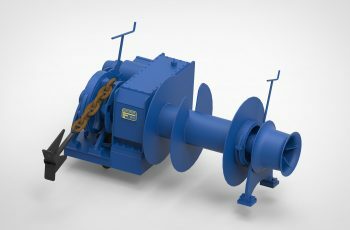 Remore control is one of the various other options on this winch.